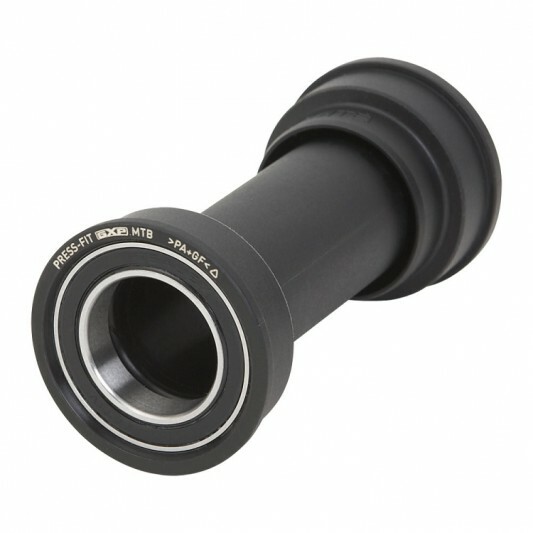 A variant of the external bottom bracket, PressFit cut weight by up to 40 grams and provide easier installation by allowing you to press the bearing cups into the frame instead of threading them. There’s no change to the crank spindle length and diameter remain the same. Allows you to use your GXP crankset on a PressFit frame without an adapter. Weighs 94 grams (83 grams in Ceramic).